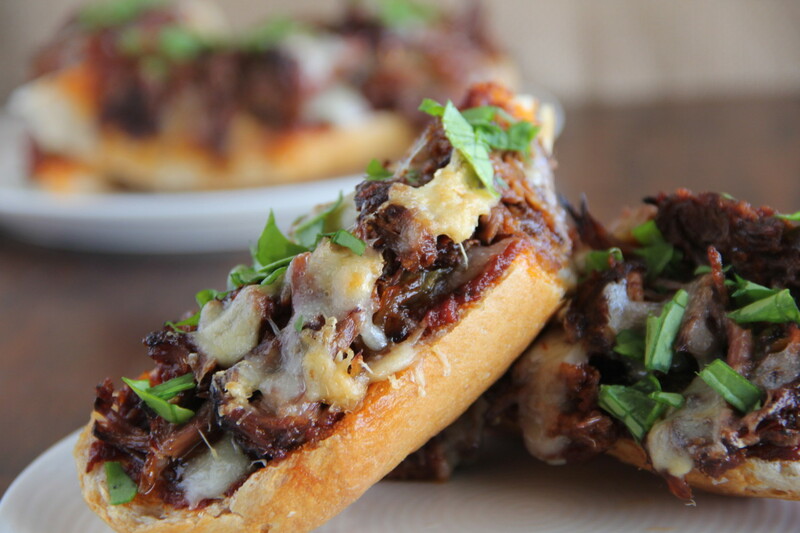 Decadent braised short ribs top crusty French bread and get smothered in delicious Smoked Gouda and Fontina cheese! Who doesn’t love a short rib? I say someone who is clearly impatient! Why? Because these babies require lots of love and romance in order to make them rock your world. First, love (seasoning) has to be seared inside and then the romance (where the aromatics, braising liquid, low temperature and time all collide) just takes them over the top, baby! There, succulence at its very best! When I heard that it was French Bread Day, I immediately knew I wanted to top it with my favorite recipe for short ribs. I once served these at a progressive dinner for 24 and all of the guest raved about them. They sang their praises regarding how tender and flavorful they were. They are true perfection as short ribs go! So combining them with crusty French Bread and melted cheese is just over the top!! Be still my heart!! 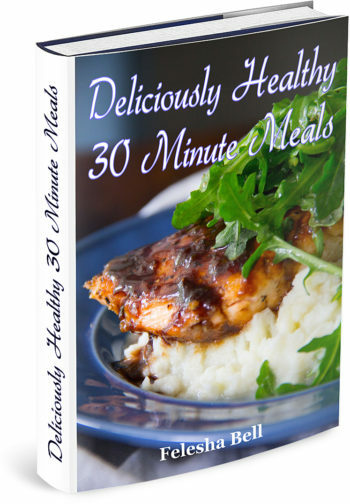 Start by preheating the oven to 375 degrees. Season your short ribs with salt and pepper on all sides. Pour in enough olive to cover the bottom of a dutch oven and turn your burner on high. You want it to be screaming hot at the party. Add your short ribs to the pan in batches if necessary. You want all that flavor to sear into the meat without steaming it. Brown the ribs on all sides. Now place your 1 small, chopped onion, 1 chopped celery stalk , 1 chopped carrot and 2 smashed garlic cloves into a food processor. Acquaint the vegetables into a nice paste. After the short ribs have browned, remove them from the dutch oven. Drain the fat and add more olive oil. Add the pureed vegetables and season them with salt and pepper. Saute them for about 5 minutes, add a 6 oz. can of tomato paste and saute for another 5 minutes. Add 1 cup of red wine and pick up all of the bits on the bottom of the oven. Lower the heat a bit and reduce the mixture to about half. Now put the short ribs back into the party, adding adding about 1 cup of beef broth to cover the meat. Add a small bunch of thyme and a bay leaf. Cover your dutch oven with a lid and place it in the oven for 1.5 hours. Add more beef stock if necessary while cooking. Turn you ribs over and cook for another 1.5 hours. Now remove the lid and let everything brown for 30 minutes. The meat should be so tender and now you should be salivating. Remove the bay leaf and thyme stems. Then reserve about a cup of the tomato mixture. Pull the meat off of the bone and try not to devour them before making it onto the pizza. While the ribs were partying, you should have sautéed the onions in a pan for about 45 minutes over medium-low heat with olive oil, butter and salt until deeply amber in color. Deglaze the pan with beef stock and stir. Set aside. Take your French bread loaf and cut it into thirds, then slice each third in half. Take about a cup of the remaining sauce from the party and spread over your 6 slices of French bread. 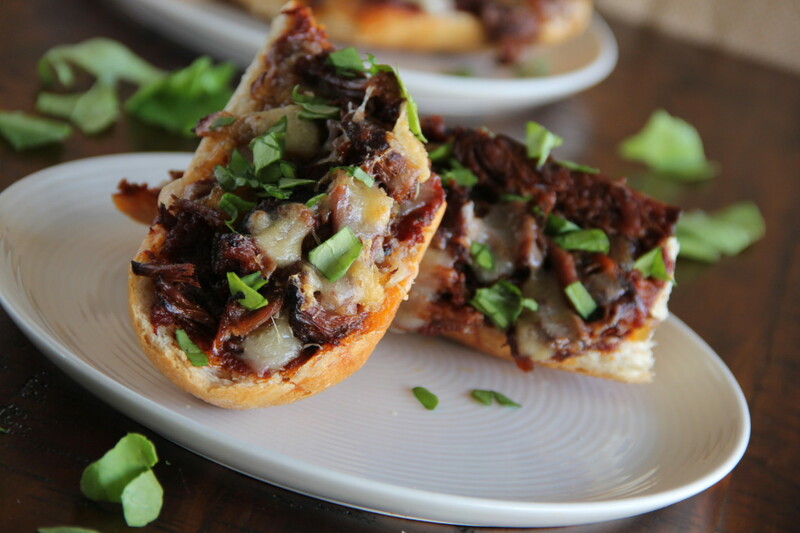 Top the sauce with caramelized onions and generous amounts of the pulled short ribs. Mix your cheeses to cover each pizza and place them in a 400 degree oven for about 7 minutes to melt the cheese and toast the bread. Say Grace and enjoy! 1 large Spanish onion, sliced into half moons, ⅛ inch thick. Preheat the oven to 375 degrees. Season the short ribs with salt and pepper on all sides. Pour in enough olive to cover the bottom of a dutch oven and turn your burner on high. You want it to be screaming hot. Add the short ribs to the pan in batches if necessary. You want all that flavor to sear into the meat without steaming it. Brown the ribs on all sides. Now place the onion, celery, carrots and garlic into a food processor. Acquaint the vegetables into a nice paste. After the short ribs have browned, remove them from the dutch oven. Drain the fat and add more olive oil. Add the pureed vegetables and season them with salt and pepper. Saute them for about 5 minutes, add the tomato paste and saute for another 5 minutes. Add the wine and pick up all of the bits on the bottom of the oven. Lower the heat a bit and reduce the mixture to about half. Now put the short ribs back into the party, adding adding about 1 cup of beef broth to cover the meat. Add a small bunch of thyme and a bay leaf. Cover your dutch oven with a lid and place it in the oven for 1.5 hours. Add more stock if necessary while cooking. Turn you ribs over and cook for another 1.5 hours. Now remove the lid and let everything brown for 30 minutes. The meat should be very tender. Remove the bay leaf and thyme stems. Then reserve about a cup of the tomato mixture. Pull the meat off of the bones. While the ribs were cooking, you should have sautéed the onions in a pan for about 45 minutes over medium-low heat with olive oil, butter and salt until deeply amber in color. Deglaze the pan with beef stock and stir. Set aside. My, oh my, oh my! As if short ribs weren’t tasty enough by themselves! You just took them to another level, with this recipe; and I’m putting this one on my gotta try list, during the up coming Christmas break.